PLA (or Passion Leads Army) is Direct3D 11 based on the Unreal Engine 3 game engine. 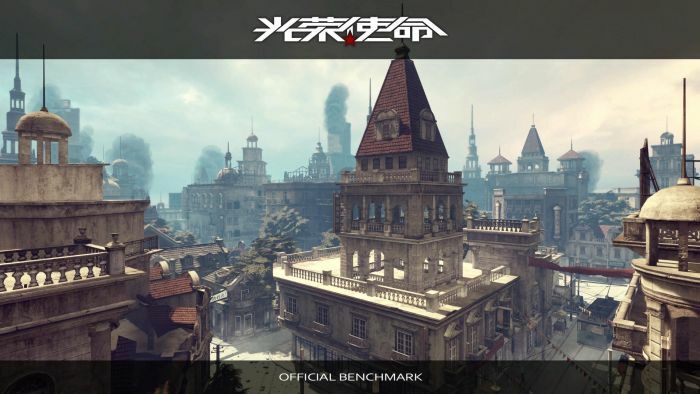 The benchmark features hardware tessellation and PhysX-based physics simulations (flags, particles/explosions, etc.). Here is a quick test with three graphics cards: a GeForce GTX 680, a GeForce GTX 580 and one GTX 480. I didn’t included Radeon cards because PhysX seems to be completely disabled (no CPU PhysX) with AMD’s cards. The specs of the Z77 testbed used can be found HERE. I used the R301.24 beta drivers. You can find a download link in this thread on Geeks3D’s forum. me too! the difference is only 11-13 fps! poorly! GTX680 is most likely bandwidth starved in many benchmarks. It has more than doubled both the compute capacity and texture fill-rate, but still relies on the same memory throughput, as in the reference GTX580 board (~192GB/s). @fellix: indeed, and that is what is the most limitating with deferred renderers. Nvidia has proven time and again that PhysX is a total waste of resources, relative to what it offers in visual rewards, so why do they still bother? ^Using the settings that JegX used in test 2. I never liked Unreal Engine, and this demo confirms it. Terrible reflections, terrible particles, etc. (But maybe it’s because of the data and not the engine). Anyhow I made two runs with two GTX 580 @945/2280@1.163v. Standard 1280×720 and my native 2560×1600 (and with higher settings).